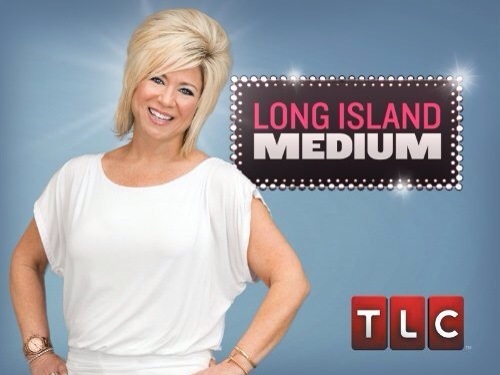 I’ve been watching Long Island Medium like a manwhore at a strip joint on pay day. I think Theresa Caputo is adorable and quite honestly I’ve had the occasional conversation with dead guys, so I feel for her as well. But the thing that hit me the most is that I realized by watching home-based reality shows, I’m learning how other families live. Because my own family’s dynamics was about as disturbing as a fox raising chicks, I find it heartwarming to see Theresa’s family thrive in an atmosphere of overwhelming love (despite the distraction of all the “spirit” hanging around). Since completely severing my ties with my dysfunctional parents, I feel like life has reatarted with pure sunshine – versus the constant cloud-covered gray nightmare that it had been in the past. She’s great isn’t she!!! but I agree, once you get rid of those things that are plaguing and just bringing you down you feel free and released for those shackles! !